Audio: Donald Sterling to Girlfriend "Don't Bring Black People to My Games, Including Magic Johnson"
"L.A. Clippers owner Donald Sterling told his GF he does NOT want her bringing black people to his games ... including Magic Johnson ... and it's ALL on tape." Funny, I saw a variation of this on W. Kamau Bell's show last season. Two time Grammy-nominated artist Eric Roberson visits Google NYC for an exclusive acoustic performance followed by an interview with Ryan Loren (40:20) in honor of Black History Month. 9th Wonder Talks The Hip-Hop Fellow on MSNBC's Melissa Harris Perry Show! New! Future Feat. André 3000 “Benz Friendz (Watchutola)"
Pharoahe Monch Discusses Depression & his New Album “PTSD"
...As previously reported, a warrant was issued for Stewart's arrest after she got into a vicious fight in late March with RHOA costar Kenya Moore during a reunion taping. "Porsha stood up, so then Kenya stood up," an insider recalled to Us of the incident. "Porsha charged at Kenya and pulled her hair, but it was over in a matter of seconds...Andy [Cohen] and a producer jumped in, and then security came." Nas, Kendrick Lamar & Schoolboy Q Discuss The 20th Anniversary of "Illmatic"
The 20th anniversary reissue features remastered tracks from "Illmatic", 10 bonus cuts including remixes a rare 1993 freestyle from The Stretch Armstrong & Bobbito Show, along with "Time Is Illmatic" documentary and a show called Street Dreams coming to Xbox One. 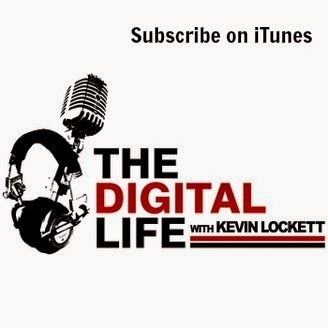 Kicking off the second season of the Digital Life podcast, Kevin Lockett talks to Mike Babby, owner of the Akron Rubber Ducks baseball. During the conversation, Mike talks about his time with the Washington Post and the future of journalism, his commitment to economic development in Akron and how he bought the team formerly know as Akron Aeros. Check out Akronrubberducks.com and @Akronrubberduck on Twitter, where you can also find @KenBabby. Episode Twitter Question: Tweet @kevinLockett with the names of sports teams that really knows how to use social media. As always, visit Soul88.com, KevinLockett.com Digitalkev.com. David Letterman - JOHNNYSWIM: "Home"
XSCAPE is due May 13. Pre-order the album on iTunes. Nas Talks to Zane Lowe About the 20th Anniversary and Reissue of "Illmatic"
Thanks to DJ Stout XTC for the hook up! Drake Samples Lauryn Hill and Shout Out Johhny Manziel, Andrew Wiggins & Jennifer Lawrence on "Draft Day"
"Flasdance the Musical " runs now through Sunday, April 13, 2014 at the Palace Theatre, PlayhouseSquare, Cleveland. Cick here for more information.